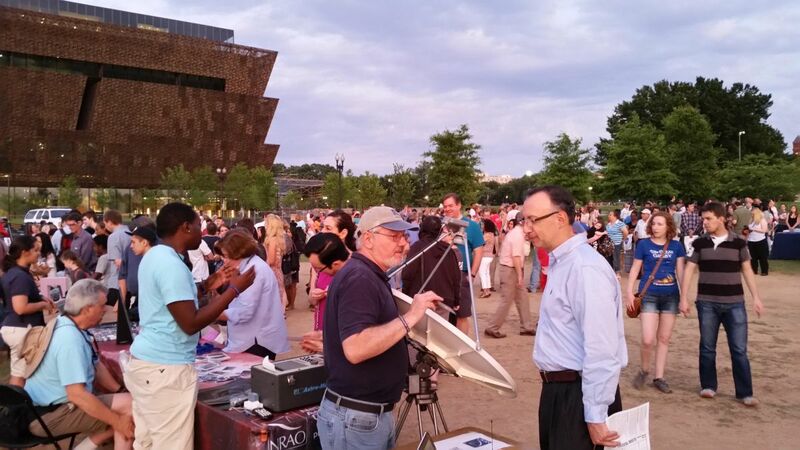 Come and join the National Radio Astronomy Observatory at the 9th Annual Astronomy Festival on the National Mall. This free event in Washington, D.C. is organized by Dr. Donald Lubowich, Coordinator of Astronomy Outreach at Hofstra University. This free public stargazing event features solar, optical, and radio telescopes observations of the Sun, Moon, Jupiter, and Saturn; hands-on activities, demonstrations, hand-outs, posters, banners, and videos.